During the previous day, we located the city centre, and the tourist office and obtained an improved map which, we were pleased to see, had a walk around the city on it. We do like a walk. The first part was probably the most outstanding. Sauntering down the King’s Parade we enjoyed the beauty of King’s College, Senate House, Gonville & Calus College and Trinity College. 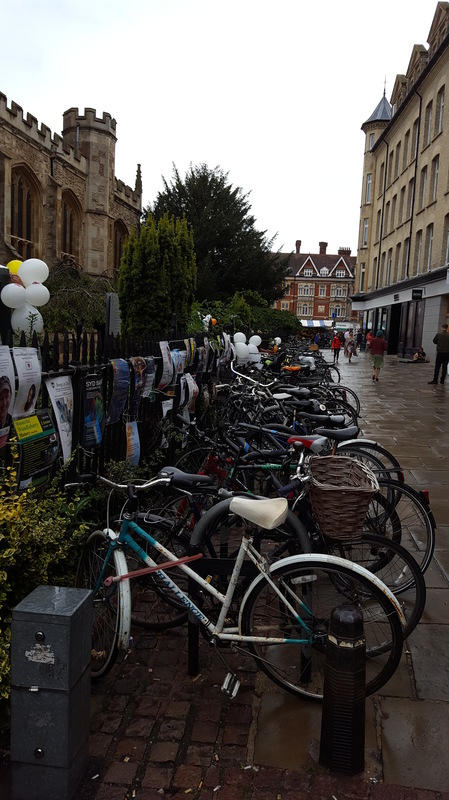 This area lies beside the River Cam and faces out onto King’s Parade in the centre of the city. Wow, what absolute splendour we have in England. 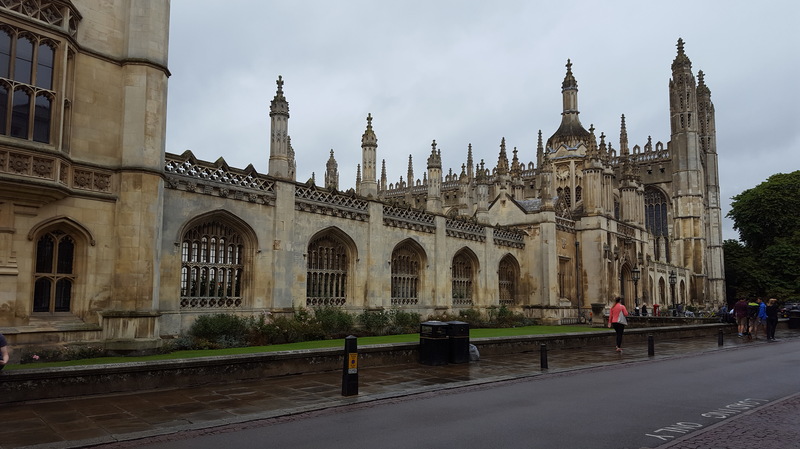 The opposing King’s was said to be founded in 1441 by Henry VI, who also founded the famous Eton School. The proposals for King’s were disrupted by the War of the Roses and subsequently eventually taken up by Henry VII in 1508, who became interested in the project, possibly to grow his new position of King. We both felt proud of our heritage as we beheld these splendid places of study and improvement. 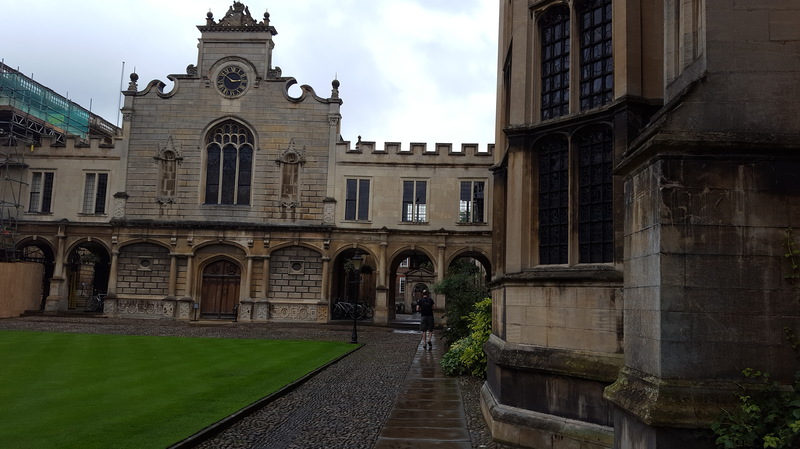 We continued, abet slowly, up Magdalene Street and viewed the glorious Magdalene College, Bridge Street with Sidney Sussex College and Christ’s College and then St Andrews Street, Emanuel College. We came upon Great St Mary’s, The University Church of Cambridge, and decided to climb the tower. After paying the bored teenager, we set about climbing and clambering up the stairs, in what seemed to me, a vertical and tight tunnel while all the time, praying nobody was choosing that very moment to come down in said vertical tunnel. 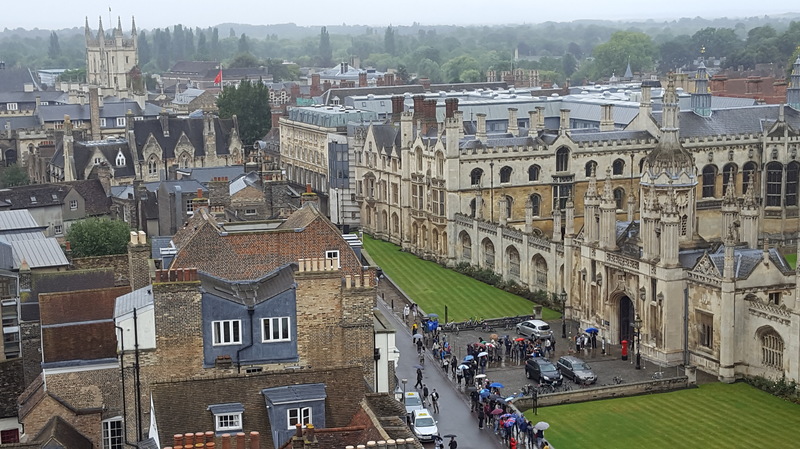 As I clambered to the top, I was relieved to find that there was a large wooden platform are whereupon one can view most, if not all, of Cambridge in its entirety. Many photos were taken but I did remember to put my camera away, and fully experience the marvellous views. Onward down Downing Street and came to Trumpington Street. My hubby spotted the Fitzwilliam Museum and although tired, as it was free admission, decided to visit at a speed that would have impressed Usain Bolt haha. Although, to be fair, I slowed down, to thoroughly enjoy the modernist masterpieces of Monet, Renoir and Van Gogh. Joking aside, it was well worth a visit to see an outstanding and diverse collection of art and artefacts and includes works by Titian and Rembrandt through to the modernist art. 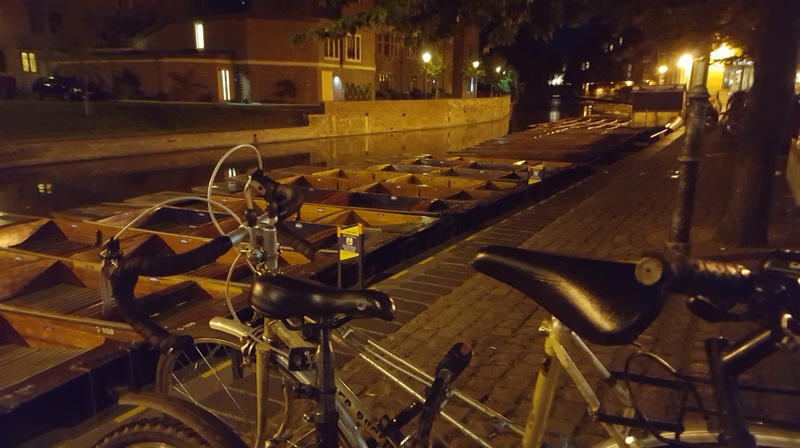 During the evening we visited many pubs and viewed the river at night lit by the bright moon and and street and shops lights. It was well worth a visit and can highly recommend. Thanks for reading my blog and if you like my stuff, please FOLLOW.